My teeth had always been pretty healthy. Small fillings here and there but nothing too serious. I never had the terrible tooth pain I hear a lot about and I hope I will never too, especially since I started to go sugar-free. I used to drink coffee and eat chocolate, especially dark chocolate. In the years prior to getting pregnant with my son, I had also started having a small glass of red wine in the evening. I never smoked, not even out of curiosity. Therefore, even though my teeth were never shining white, they have always been good enough when it comes to looks, having no stains whatsoever (I think they were A2 on the teeth color chart?). During my first pregnancy, I had to take some iron supplements which were liquid. 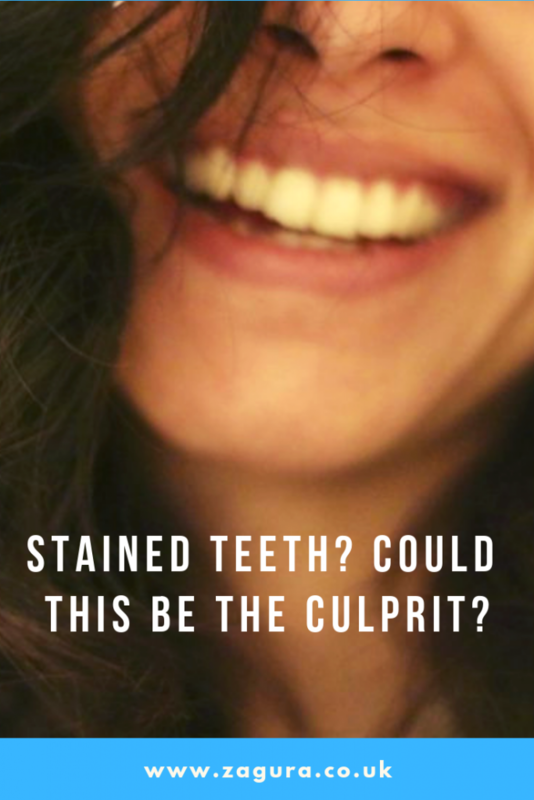 And after giving birth I noticed that some stains started appearing on my teeth, no matter how well I brushed. No surprise there, I knew iron would stain the teeth, but after I had stopped taking the supplement I was expecting an improvement. Red wine had been no longer on my list, weeks before getting pregnant. I had reduced coffee consumption while being pregnant and then breastfeeding. Still my stains were there. Getting larger, more noticeable. I was going to the dental hygienist on a regular basis and after the treatment my teeth were looking better, but still had few stains on them. Which again grew in size and number until the next visit at the hygienist. I was told to quit wine (checked), iron supplements (checked), smoking (checked), chocolate and coffee. These last two I wasn’t able to completely cut off of my diet. I would have, if I had been convinced that they were the cause of the stains. I had always eaten chocolate and I had been drinking coffee since I was in University, still the stains only appeared in the last years. And nothing seemed to help. This whole thing was getting annoying and frustrating. It seemed like this was a mystery, never to be solved…. Then I talked to a dentist. I told her all these details that intrigued me so she looked more carefully at the shape of the stains. And then her face lightened up and she asked “Do you use mouthwash?”. I proudly said “Yes, of course!”. I had always done, once a day. I had changed it when I got pregnant with my son, as I wanted to make sure I stayed out of potentially dangerous chemicals, so I had chosen an organic one. The dentist continued: “Your stains look exactly like those caused by mouthwash” (and she mentioned a brand name). “Stop using it for a few weeks and see if you notice any improvements”. Excuse me, what? 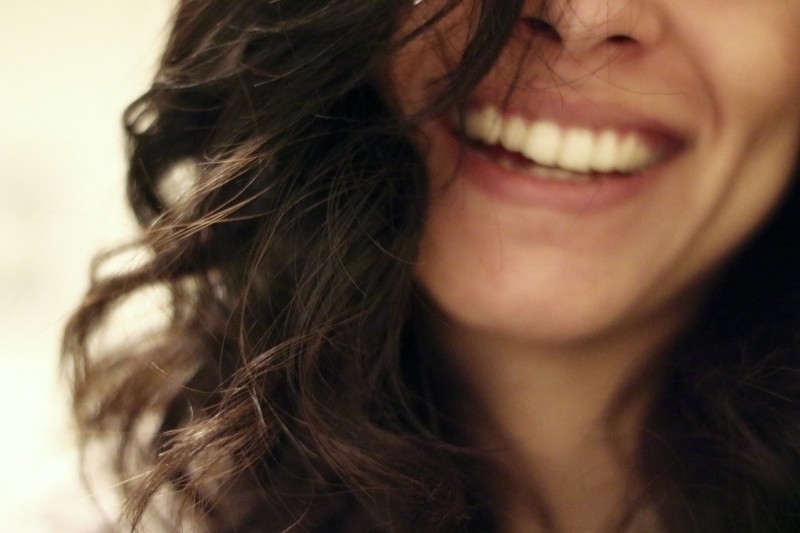 Aren’t mouthwashes supposed to help your teeth, make them healthier and better looking? I was intrigued and skeptical about this explanation. As soon as I got home I started my investigation online and yes, the dentist was right: certain mouthwashes can cause stains, especially if food is consumed soon after its usage. More specifically, I learned that for example “chlorhexidine gluconate”, one of the ingredients of mouthwashes, causes stains (source). Oh my! So the new mouthwash was the cause? I couldn’t believe it. I still can’t, but I will see in three months time. 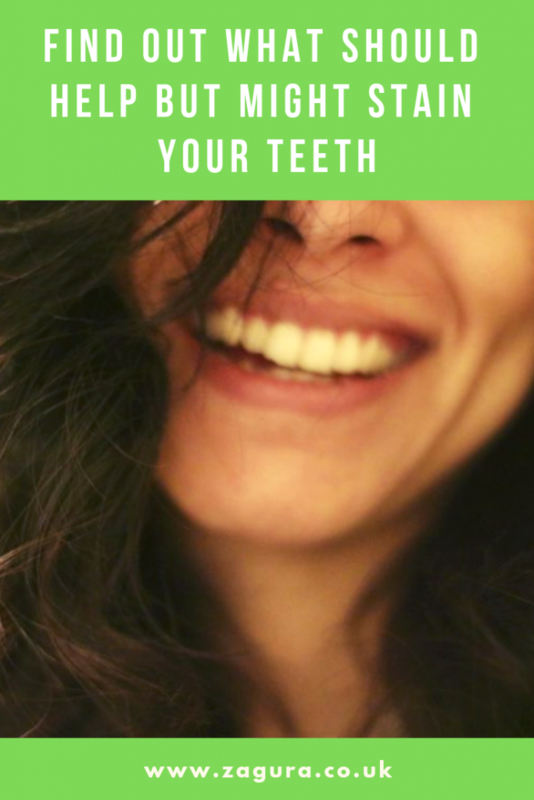 So now I know (and so do you): you can stain your teeth by consuming certain foods/drinks and by using mouthwash. Update on this subject: after giving up mouthwash, my stains stopped developing. After two visits to the hygienist, all the stains have been removed and since then my teeth are stainless! It is January 2019 and my teeth are stain free! That’s so interesting! I had no idea mouthwash could stain your teeth! !